Need an EDI Outsourcing Provider? Let Us Manage EDI For Your Company. 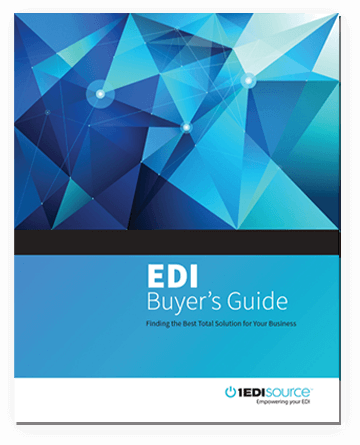 EDI is critical to the success of your business. It’s where your most important revenue-generating documents are exchanged. 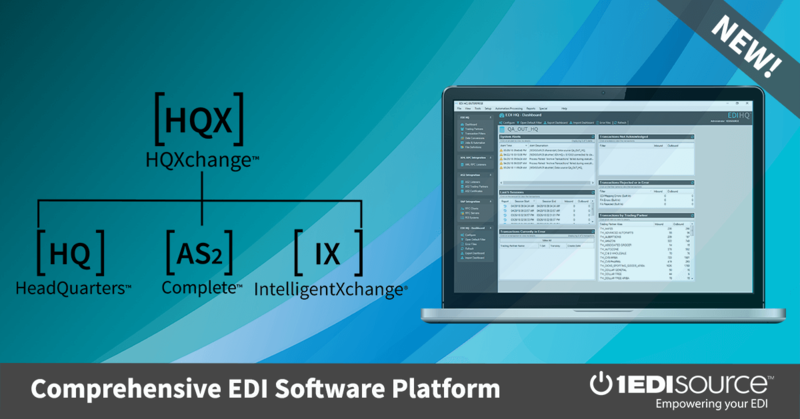 With ManagedXchange® [MX], a cloud-based enterprise solution, you can rely on the experts at 1 EDI Source to manage your EDI exchange and stay EDI compliant, allowing you to focus on your core business. With our managed services and 24/7 support, you can rest assured that your most important business relationships are being looked after while lowering your overall IT investment. Complete management of your trading partner’s technical requirements. 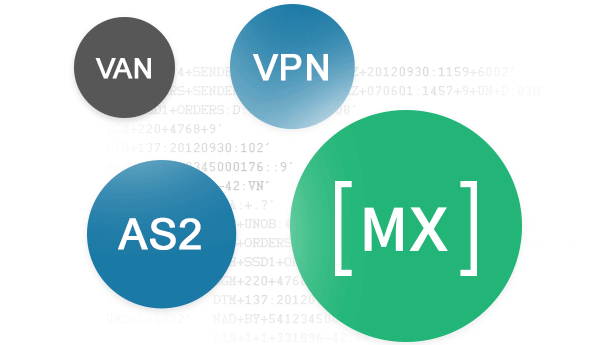 Each trading partner may need to be communicated with differently through a VAN, secure FTP, AS2 protocol or other means; we handle them all on your behalf. With state of the art infrastructure, be confident that your documents will flow seamlessly with your trading partners. Every business’ processes are different and even how you use common back office systems are unique. 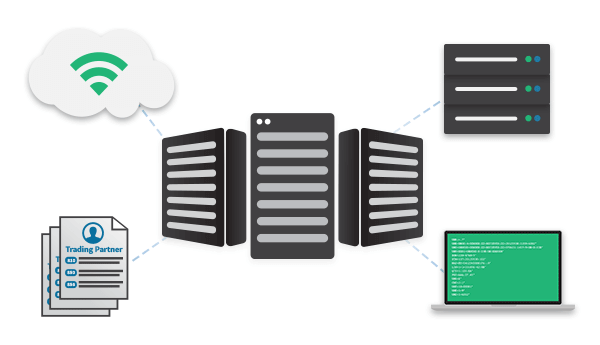 Rely on an EDI data integration process tailored to your unique business needs. Each new client is brought online with dedicated implementation consultants that get to know you and your business. 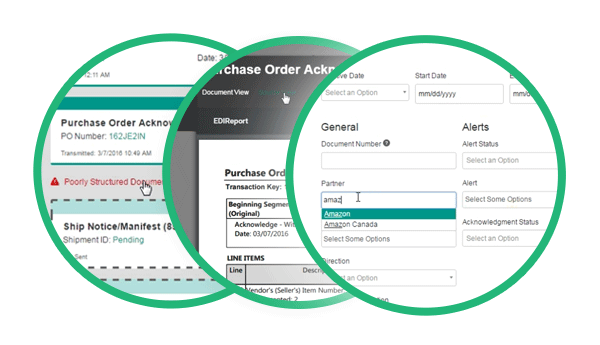 EDI is more than just a technical function, but a critical step in your business processes, gain full visibility of the documents as they are exchanged and they are accessible to anyone in your organization. Our highly intuitive visibility portal represents EDI as business documents relevant to your customer service and accounting teams to be able to research and solve time sensitive business issues. Your business is not static, so as your processes change be assured your EDI partner is available to continue to evolve your EDI data integration process to accommodate your changing needs. Our team of EDI experts will manage all of your transactions, trading partner setups and more while you focus on the rest of your business. Eliminate the hassle of recruiting, training, hardware, security and hosting. 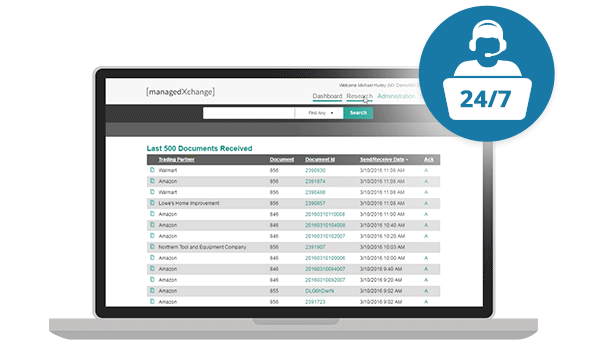 At any time you can choose to bring EDI back in-house seamlessly and we can help you do it.